Michelle Obama charms British crowd with praise for Queen Elizabeth. She had the sell-out audience - many of whom had travelled hours to attend - laughing along within minutes of taking the stage, recounting the furore she caused in 2009 when she breached royal protocol by putting her arm around the queen. 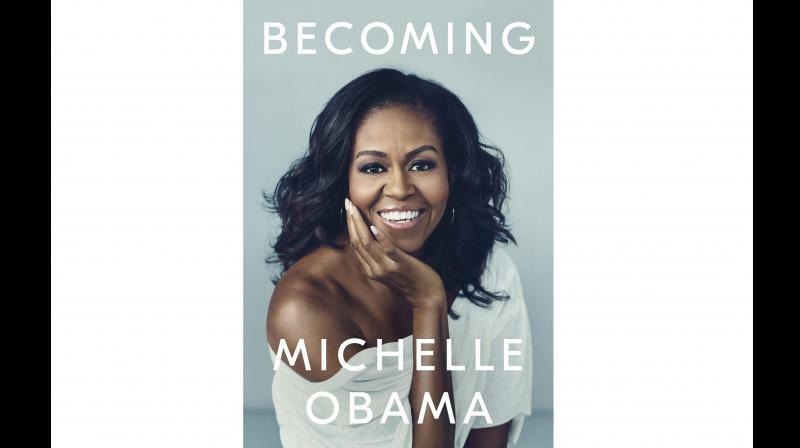 “That was my experience that has been my experience: that kind of warmth and graciousness and intelligence and wit - I like her.” Obama’s book tour has so far taken her across North America and Scandinavia. After London, she will go to Paris and Amsterdam. “It’s absolutely surreal. I think it’s like an once-in-a-lifetime opportunity. I can’t believe she’s in England as well, I can’t believe we’re going,” said Aisha Chibampe, a 26-year-old corporate finance worker who drove four hours from the northern city of Leeds for the show. Obama, asked by host Stephen Colbert what advice she had for people in Britain about how to stay calm in a time of turmoil – a likely reference to political divisions over Brexit - said London was unique and should treasure its diversity. “This trepidation, the anxiety, it’s everywhere, it’s all over the world,” she said.